Each New Year, most of us resolve to make positive changes of some kind. It’s a way of honoring the passage of time and the desire to commit to bettering ourselves and our situations. Each new year, Norman Window Fashions offers a 2 day Certification Training to their dealers to help ensure we continue to deliver the highest quality of products and service to our clients. Our sales team looks forward to this event each year as it always proves to be a fun time with great opportunities to meet other WIndow Covering professionals from all over the west coast. It also helps to grow knowledge and confidence in the products we sell through the Norman brand. Norman Window Fashions is among the worlds largest and well-respected manufacturers of window coverings. Their 30+ year commitment to quality and craftsmanship have made them the number one choice for homeowners. Through continuous innovation and improvement, they continue to introduce new and innovative products that clearly exceed industry standards for durability and safety. Child and pet safety is big concern when it comes to window coverings. Let us show you the safety options that are becoming standard on all window coverings. 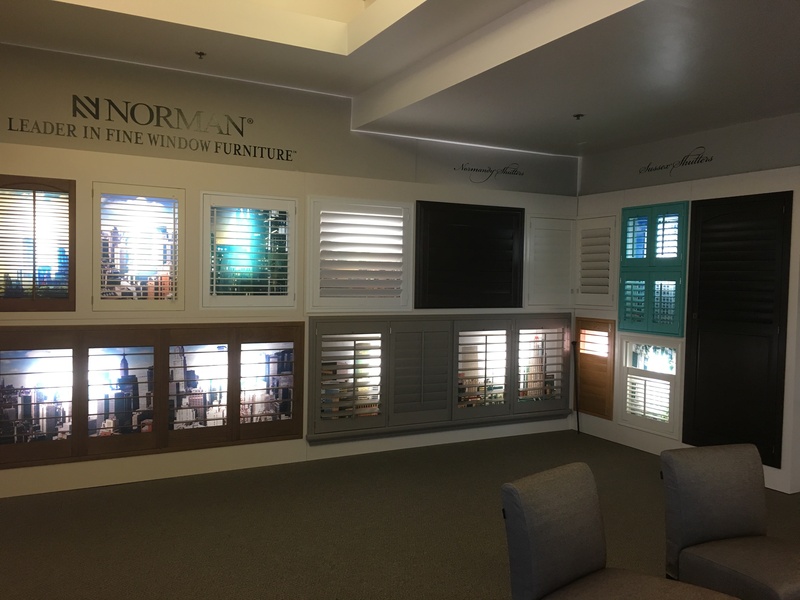 Norman Window Fashions offers numerous solutions from motorization and cord free as well as retractable controls and break away cords. We look forward to sharing these latest innovations with you, our customers and can’t wait to see what Norman Window Fashions has in store for next year. Why Bother With Window Coverings? Frequently we will get asked, “Why should I even bother with window coverings? It may seem an odd question, but the trend toward minimalism makes it a legitimate one that bears consideration, and it’s OK to not have window coverings. It is your home after all. However there are several reasons window coverings are important, beyond just being an element of interior design. Helping to prevent sun damage and fading. Home furnishings, as well as carpet and flooring can last you a life time if you take care of them, but they do take a beating. Because of the fabrics and yarns used in carpet and upholstery these items are susceptible to ultra violet radiation even if they are not in direct sunlight. The sun in Hawaii can be especially damaging. Window treatments are the best way to protect the interior of your home. Even a good-quality sheer window treatment can filter out much of the UV rays streaming into your home, minimizing damage while maximizing your light. The fact is, in Hawaii our homes are very close together. Lot size is on the decline, while homes are getting bigger. In some cases, this means neighbors can be less than 15 feet away. YIKES! This is where quality window treatments can help. Without window treatments your home could be open for anyone to peek inside, whether it is a nosy neighbor, or just someone walking or driving by your home. Proper window treatments can increase the privacy of your home, making you feel more secure and more comfortable, especially at night, when the darkness outside makes it much easier to see into your well-lit home. Just as window treatments bring a sense of privacy to your home and protect your home from the sun, blinds, shades or draperies will also help you keep your home secure. Most burglars will peek into a home to see if you have anything worth stealing before breaking in. By keeping your windows covered you can minimize their ability to scope out your home. Additionally, keeping your shades drawn when you are away, even for a little while, keeps people from knowing whether anyone is home. Adding window treatments to a room may help regulate your home’s temperature. The proper treatments will block the sun on hot days, keeping your home cooler, while insulating against the cold air outside during the winter if you live in a colder climate. In Hawaii your best choice for a shade for insulating would be a honeycomb or cellular shade. The airspace inside each “cell” creates a layer of insulation at the window, enhancing the comfort of any room. Cellular shades are available with single, double or triple cells and also come designed with an additional insulating layer to help reflect light and heat back outside. Instead of having the sun in your eyes during dinner, or a glare on your television every evening, try window treatments. Whether you need something sheer to cut the glare or a shade to block out every ray of light, blinds and shades will do the trick. The window covering specialists at Island Window Covering are here to help you determine the best solution for each room in your house, so contact us today if you have any questions, or feel free to visit our Kihei showroom. Spring and Summer are the most popular times for clearing the clutter, opening up and airing out your spaces. Time to put away the darker colors and the heavy bedding and bring some light, airy elements into your home. Throw open the drapes, raise your shades and let those warm summer breezes come on in. Now is actually also a good time to have a closer look at your window coverings in general. Just so you know, there are window coverings and window treatments….hard & soft…decorative & functional. Generally, you’ll want window coverings when you need a specific solution to a specific issue. This could be privacy for your living room windows so you don’t feel like you’re on display for the neighborhood or it could be to black out the bedroom windows so your teenage vampires can sleep in. And what about that afternoon sun that streams in the kitchen right when you’re getting dinner ready? All of the scenarios listed above have different solutions. Over the next several weeks, we will be talking about all the different reasons people choose window coverings. Today, we’re going to discuss why people who don’t NEED window coverings choose to have window coverings. Say for instance you live on a large property, or your home happens to be perfectly situated where you don’t have to worry about neighbors or prying eyes. Chances are, you’re tempted to leave your windows uncovered. Why shade your windows when you’re surrounded by trees or the ‘great wide open’? Well, first thing that comes to mind is style and design. Some simple side panels to frame an opening or a top treatment can make your living space more comfortable and cozy. But seriously, don’t discount window coverings for piece of mind. A wide-open feeling during daytime can easily translate to feeling exposed at night, especially when you can’t see outside. Most people insist they feel more secure just having window coverings closed at night…a kind of cocooning of sorts. Simple, light weight drapes or shades are a perfect solution for windows that don’t necessarily require sun protection or daytime privacy. Keep in mind, night time comfort and security are a good reason to cover your windows and can be achieved simply and inexpensively. Feel free to ask us about window coverings designed to disappear until you need them. Minimal, Functional and affordable! Island WIndow Coverings.